Laser die cutting involves the use of a high speed laser to accurately and efficiently cut materials into custom shapes for numerous applications. Depending on your project needs the materials that can benefit from laser die cutting include cork, foam, acrylic, rubber or several other materials. High efficiency laser die cutting services provide the ability to cut through intricate, complicated patterns, which makes them highly useful for smaller, more complex applications. Since lasers can move in any direction, they can make cuts that standard saws or pressure cutters cannot. Contact us for more information regarding our laser die cutting services, or call us at 510-249-2000 with any questions that you may have. Our lasers can cut through complex, awkward patterns, a feat that would be difficult for any other type of cutting process to make. 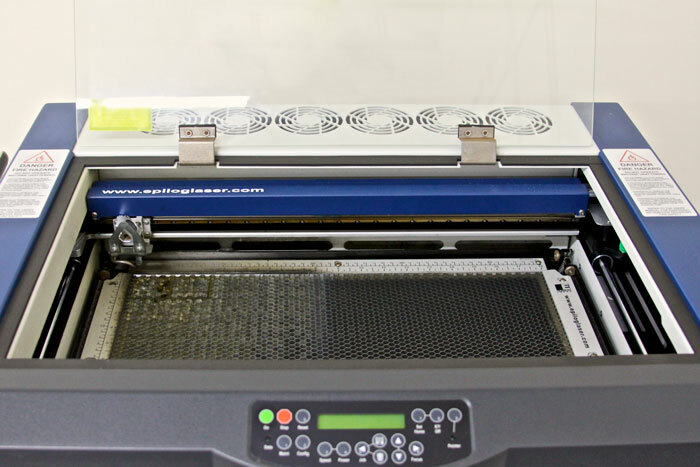 Our laser die cutting machines can be continuously readjusted for quick runs, which makes them ideal for those that need quick turnaround times. A laser never needs to be sharpened or replaced, unlike a rotary die. A laser will also last much longer and require far less maintenance than any other type of cutting system. If you have been properly trained, a laser die cutting system is easier to operate than other types of cutting machines. With our high precision die cutting services a drawing can be uploaded and cutting can begin right away. Those programs can also be saved and easily recalled for later use. Contact us for more information regarding our laser die cutting services, or request a quote for an in-depth price analysis today. Fabri-Tech’s custom die cutting services are ideal for creating a bevy of industrial applications, including prototype parts. This process can be used to quickly and easily produce prototypes from your custom designs for fit and function assessment, and other product tests. The differences between laser die cutting and rotary die cutting is pretty much night and day. Rotary die cutting relies on many moving parts to make its prescribed cuts. The types of cuts that a rotary die can create include metal to metal, kiss, slit, perf and score cuts. However, laser die cutting can achieve these same cuts and many more through the utilization of laser technology, which has no moving parts. This results in less down time and faster product turnarounds, without the hassle or worry of maintaining a bevy of moving parts. Our custom die cutting services provide prototype parts in as little as half an hour. Working from your product designs, we can quickly and easily program our laser die cutting machines with the necessary information to create your prototype. This swift turnaround allows you to quickly check the parts for any changes that may be necessary, to keep your project moving along ahead of schedule. If any changes do need to be made, Fabri-Tech can make another prototype with just a few simple adjustments to the previous programming. We can produce a new test product, and repeat the process as many times as is necessary. Thanks to the rapid prototyping capabilities of our laser die cutting system, it’s possible to take your product from the first prototype to the final design in a matter of days. In addition, all custom design information is kept strictly confidential. Fabri-Tech will never divulge your design data to any unauthorized third party. Request a quote to get us started on your project, or contact Fabri-Tech to learn more about our high precision laser die cutting and prototyping processes today.